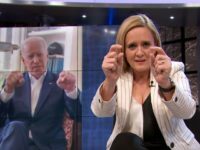 TBS “Full Frontal” host Samantha Bee mocked Joe Biden’s response to claims he has inappropriately touched multiple women. 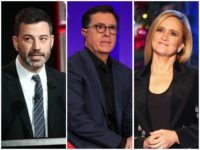 According to a new poll from The Hollywood Reporter, Americans view Jimmy Kimmel and Stephen Colbert as the most liberal late-night hosts on television. 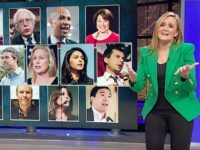 TBS late-night host and left-wing comedian Samantha Bee held a special Christmas show in New York this week, featuring “Abolish ICE” skaters and plenty of Trump-bashing. 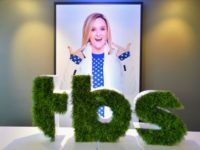 TBS’ Full Frontal host Samantha Bee depicts the Nativity scene being raided by Immigration and Customs Enforcement (ICE) officers in a new preview for her Christmas special. 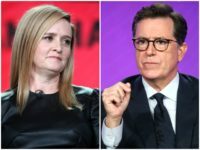 Full Frontal host Samantha Bee defended CNN’s White House correspondent Jim Acosta after his contentious behavior at a press briefing on Wednesday, declaring that America should be “ashamed” of his behavior. 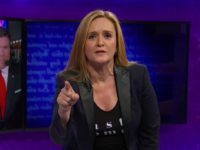 Unsurprisingly siding with the accuser, TBS host Samantha Bee insists that Brett Kavanaugh’s accuser ‘did America a favor’ by coming forward. 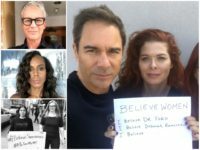 Hollywood celebrities reacted to SCOTUS nominee Brett Kavanaugh’s Senate hearing on Twitter Tuesday with unhinged angry attacks on President Donald Trump and Republican Senators. 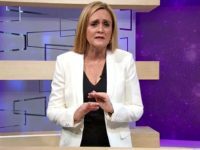 TBS talk show host Samantha Bee said that the reaction to her calling White House adviser Ivanka Trump a “c*nt” was “incredibly overblown” in an interview published Friday. 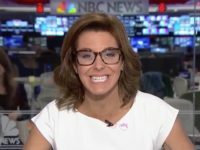 Late-night talk show hosts shredded President Donald Trump’s executive order temporarily halting the practice of separating illegal immigrant families apprehended at the border, mere hours after the document was signed. 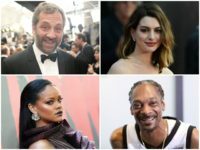 Veteran Hollywood actor and stand up comedian Dennis Miller joined SiriusXM host Alex Marlow on Friday’s edition of Breitbart News Daily to declare that the personal attacks on President Donald Trump from Hollywood elites like late-night host Samantha Bee will soon ensure that he wins re-election in 2020. 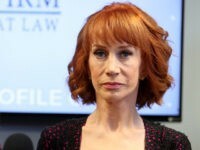 “I’m putting TBS on notice,” Kathy Griffin said while urging her fans to support Samantha Bee’s remaining ‘Full Frontal’ advertisers and “really, really, shade” the two companies, State Farm and Autotrader, that suspended ads on the TBS show. It is not for me to say why Roseanne sent the tweet or what was in her heart. 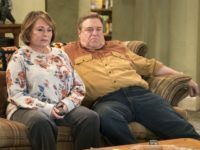 It is for me to say that Roseanne seeks to repent and make amends. 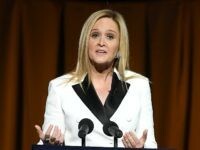 Chinese state media urged the firing of comedienne Samantha Bee in a column published Sunday, condemning her recent tirade against senior adviser to President Donald Trump, his daughter Ivanka.